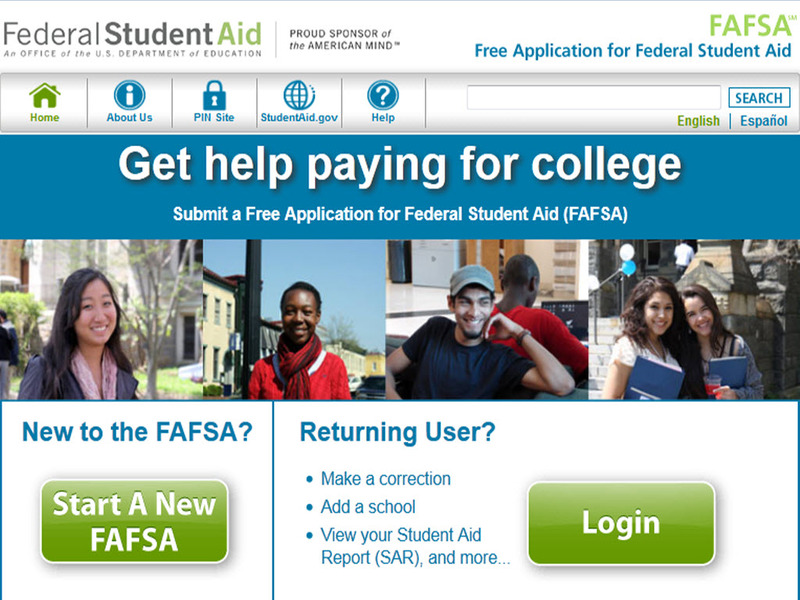 If you haven't already, the FIRST THING TO DO is to fill out the free FAFSA form. It is free -- don't let anyone charge you to fill it out! The FAFSA helps you know what financial aid you might be eligible for, and what opportunities are available. ​The University of Washington’s DO-IT Center has pulled together an excellent list of resources on financial aid, specific to disabled students. If you want to go old-school, Financial Aid for Persons with Disabilities and Their Families by Schlachter and Weber is published every few years and is available in most libraries. It’s a comprehensive directory to hundreds of scholarships and grants around the globe. This is available at many campus libraries - check with your librarian. Visit the NCCSD Scholarship Blog for announcements that we hear about. Financial aid accommodations are a little-known tool for many students. If you spend a considerable amount of money on disability-related expenses or equipment, you should tell your campus Financial Aid office, so they can consider that in your financial aid package. Some campuses (not all) also offer students the ability to take courses part-time while still counting as "full-time" students (so they don't lose their financial aid. Financial aid offices may also be able to advise you if you have Incompletes due to a disability, need to take a reduced courseload, or have to take a medical leave. Another tip: If you're already receiving some financial aid and need more, check with your campus Financial Aid Office 2 or 3 weeks into the semester to see if they have any "un-awarded" financial aid. Sometimes students leave mid-term or end up going to another school and don't use the financial aid awarded to them. Financial Aid can often reassign that unused aid to other students. If you are a parent or younger prospective student, you may want to set up a federally-sponsored ABLE account. You can set up an ABLE account in any state, whether or not you live there. It allows you to save money for any future expenses (including college, housing, technology), while essentially "hiding" the money so it isn't counted as income by Social Security or other federal groups. ​California has a new "CalABLE" program for people disabled before age 26. Other states might have similar programs. You might be eligible for Social Security or Supplemental Security Income disability programs which can help with disability-related expenses, including assistive technology. Visit https://www.ssa.gov/disability/ if you or your parents are getting SSI or SSDI, be sure to check with Social Security to find out whether there are considerations for the way you fill out the FAFSA financial aid forms, how you complete the financial aid forms for your school, or how much you may earn through jobs or work study financial aid programs and grants. Questions about Social Security can also be directed to Virginia Commonwealth University's National Training Center. If you have a permanent disability, you might be able to have your student loans forgiven/dismissed so you don't have to pay them back. Be sure to read information carefully and consider consulting a financial advisor - if you have many assets or a full-time job, you could be taxed on the amount of the loans that is forgiven, and not all people with disabilities are eligible. Also, check to see if you are eligible for services through the Department of Rehabilitation (also known as "Vocational Rehabilitation," "VR" or other names, depending on the state). Every state has an office, which you can find at the "JAN" website. "VR" can often help pay for technology, but rules vary in each state. There may also be requirements for how many electives you can take (electives are courses you choose that are usually not required for your degree). Students identified as having intellectual or developmental disabilities (like Down syndrome) may be eligible for some types of federal aid, and may also use Medicaid waivers to assist with school expenses or paying for aides to offer supports. More information is available at Think College on their financial aid resource page. Veterans and children of veterans are also eligible for assistance with financial aid. Check our veterans page for links. Be sure to ask about limitations on funding that may exist, including caps on the number of years you can be in school or limitations on the kinds of courses they pay for. If you plan to study abroad, check out resources from Mobility International USA, including information about using your campus study abroad programs, or getting scholarships to do your own travel or research. Maryville College Online offers a comprehensive guide explaining the various types of financial aid. Note that this is a commercial site. NCCSD does not endorse it or other similar sites; for informational purposes only.